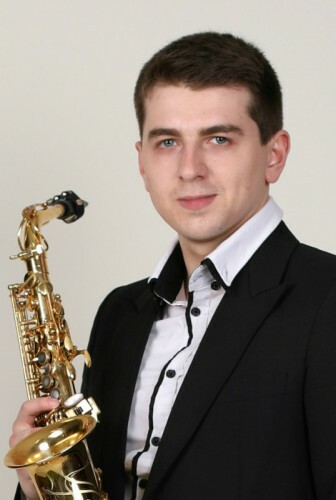 "The world is beautiful in its diversity"
Saxophonist Roman Markelov was born in Belaya Kalitva, Rostov Region. He graduated from the Rostropovich Voronezh College of Music (class of Igor Voronin) and Gnessin State Musical College (class of Associate Professor Leonid Drutin). Currently he is a student of Gnessin Russian Academy of Music in the class of National Artist of Russia, Professor Margarita Shaposhnikova. Two-time winner of the Youth Delphic Games of Russia and the Youth Delphic Games of the CIS member states. For the first time took part in the Music House programs in 2015. St. Petersburg Music House: Roman, for the first time you got acquainted with the Music House in 2015, when you became the participant of the "River of Talents" project. Back then you said that the "River of Talents" – is the advice from outstanding teachers and a nice opportunity for young artists to "make it" and make a name. Tell us, what has changed in your life during this time period? What progress have you achieved? Roman Markelov: Indeed, the "River of Talents" is a valuable experience and a charge of creative energy from the masters of our vocation. From the moment of my participation in that project, I won the prestigious international competition "The Voice of Saxophone in the Modern World", and twice – the gold medal of the Delphic Games. Besides that, as part of the Music House programs, I performed in various countries with concerts. SPMH: Why the saxophone? Does anyone else play music in your family? Roman Markelov: It so happened that as a child I began to play piano, blockflute, and a little bit on bayan. Among all this, I made the best progress with blockflute. Afterwards there was a choice between trumpet, flute and saxophone. I do not know why, but I chose saxophone. I was born in the family of musicians. My dad is a bayanist, he is the Head of the Children's School of Arts No.13 in Voronezh, my mother is the vocalist and choirmaster. My surrounding was really musical from the very childhood. SPMH: What is more interesting to you - academic or jazz genre? And can a saxophonist be "universal"? Roman Markelov: Saxophone has always been interesting to me from the academic point of view. My first teacher Igor Viktorovich Voronin promoted a love of instrument for me and gave me knowledge in the field of academic performance. I treat jazz music with interest and respect, but I hardly imagine myself in it. I do not exclude that in the future I will want to learn this genre. Now I want to continue to develop in the academic genre, especially since I understand that there is still something to learn. At the moment, the academic saxophone in Russia is treated with certain distrust, although, of course, the situation is much better than it was some ten years ago. It is due to the fact that the saxophone school is rapidly developing and the fact that this instrument is represented in the St. Petersburg Music House programs. Thus, we have good platforms for performances and we can demonstrate that saxophone is, above all, an academic instrument. In my opinion, it is virtually impossible that the musician has equal succes in both academic and jazz genres because of radically different approaches to the instrument sound. SPMH: Your repertoire comprises both original compositions and your own arrangements. Would you like to become the composer in future? Roman Markelov: I think I do not have enough talent for composition. I always look forward to new pieces written for the saxophone. Regarding arrangements, it is always very interesting and useful to pay attention to musical masterpieces and present them in a new "colour". More often than not it causes interest in the public, and there is always a desire to come to the concert and listen. SPMH: Do you have any idols among musicians of other specialties? Roman Markelov: Honestly, there are no idols, and probably should not be. There are a huge number of musicians, masters of their work, who inspire me for further skills and development, but I can not call them idols. And it's good, otherwise I would have completely become engrossed into their performance and would have lost my view of music, but, as you know, music is a biased thing. SPMH: You are studying in the class of National Artist of Russia, Professor Margarita Shaposhnikova. She brought up the galaxy of outstanding saxophonists. Among her students are Sergey Kolesov and Nikita Zimin. What do you think, what is the uniqueness of Margarita Konstantinovna pedagogy? Roman Markelov: No doubt, Margarita Konstantinovna is the great teacher, the founder of the saxophone school in our country. Representing her class is a great honor and responsibility, especially when you remember what kind of musicians she brought up. The uniqueness of her technique is in the constant search and absolute dedication to her work. Having lived through the colossal experience and knowledge, she always seeks and develops together with her students and, most importantly, keeps pace with the times. The saxophone school is developing all over the world and being involuntarily under the influence of "fashion" we are obliged to take this into account. It is very important not to lose your individual self – for Margarita Konstantinovna it is very valuable. She always tries to study a student "from within", to understand his strengths and weaknesses, to teach him to use his skills, which you sometimes do not even suspect. Our class is very diverse, and sometimes it's even hard to believe that, for example, two absolutely different musicians are in the same class and represent one professor. But it is our class anyway and it's very good. The world is beautiful in its diversity.